Critically endangered Cyanea stictophylla (or Haha). Courtesy PEPP. The “extinction capital of the world” could start losing unique plant species in as little as a month if funding disappears. President Trump’s budget cuts could doom nearly 200 Hawaiian plant species to rapid extinction, conservationists warn. 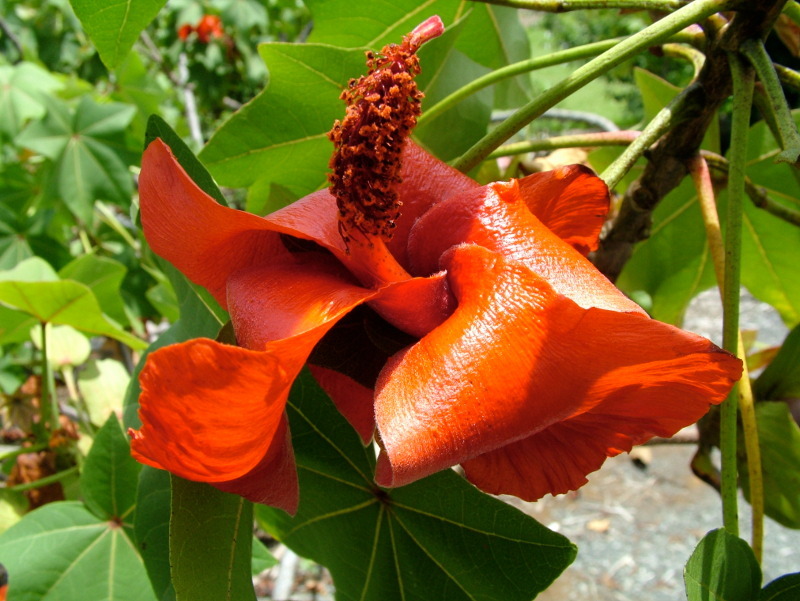 Only two wild Kokio drynarioides, remain in the Kona region of Hawaii Island. It has been readily propagated and outplanted. Courtesy PEPP. 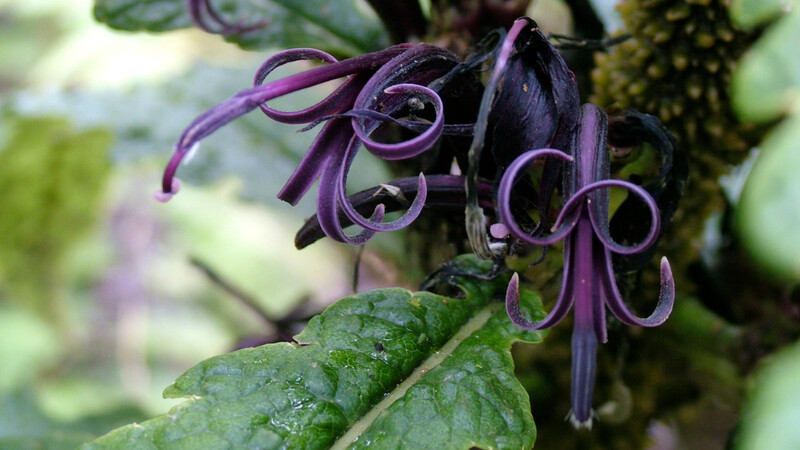 All told 239 Hawaiian plant species now have populations of 50 or fewer individuals in the wild. The 11-member team of the Plant Extinction Prevention Program protects 190 of those species. Working on a shoestring budget of just $1.1 million a year, the team does whatever it can to save them, including collecting seeds and cuttings for propagation, replanting new populations in the wild, building and maintaining fences to block out invasive pigs and other herbivores, and even going so far as to help pollinate some species by hand. Their journeys often take them to the most remote areas of the island chain, including steep cliffs and places probably never before seen by other human eyes. They’ve discovered more than a dozen new species in the process. 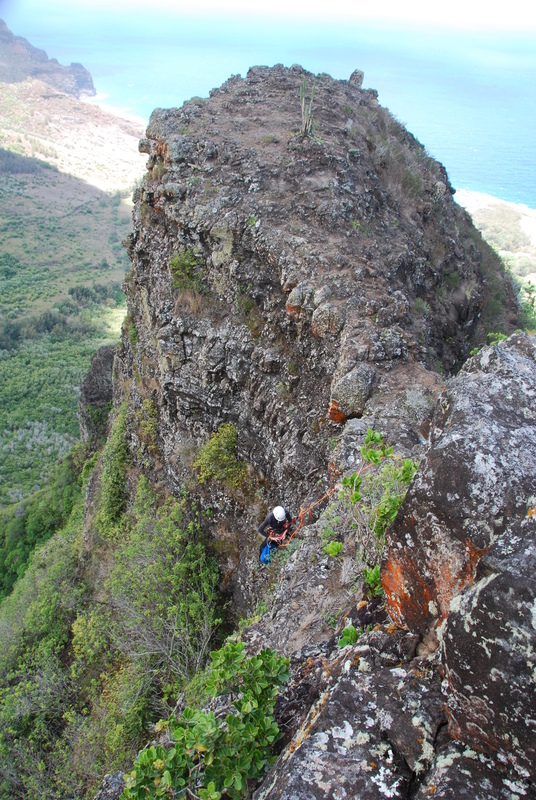 Wendy Kishida, Kauai coordinator, rappels to a rare plant population. Courtesy PEPP. 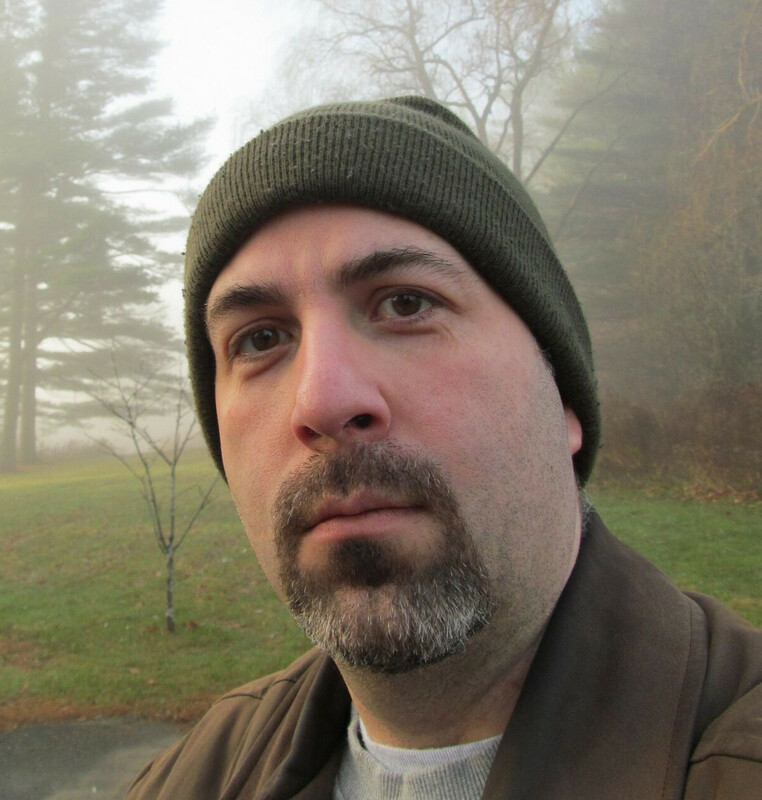 About 70 percent of the program’s budget comes from U.S. Fish and Wildlife Service grants through the Cooperative Endangered Species Conservation Fund, which provides conservation funding to states and territories. That nationwide fund, initially proposed for a 64 percent reduction, barely survived the federal 2018 budget, which passed just a few weeks ago. “Now we’re hopeful that Hawaii will receive their share of the Cooperative Endangered Species Conservation Fund for this year, but it’s up to the state to decide what programs will be allocated from those funds,” says Yoshioka. But the future of the conservation fund remains uncertain, as Trump and Interior Secretary Zinke have proposed completely eliminating it in the 2019 budget. “Whether we can secure funding for fiscal year 2019 is anyone’s guess at this point,” says Yoshioka. The program, a project of the Pacific Cooperative Studies Unit of the University of Hawaii, has started an emergency fundraising campaign to help raise $480,000 — enough to help fill any funding gaps that might emerge. Yoshioka says the campaign has already helped to raise broader awareness about the plight of Hawaii’s native species, most of which exist nowhere else in the world. “A lot of people don’t know that our extinction crisis is such a huge deal,” she says. Indeed, since Europeans arrived on the islands at least 110 Hawaiian plant species have gone extinct, along with 35 bird species, several fish, dozens of kinds of insects and hundreds of species of snails. That could be just the beginning. Today more than 500 Hawaiian species are considered endangered. “We’re just a little tiny spot in the middle of the Pacific, but we have a lot of endangered species,” Yoshioka says. One of the biggest threats on the islands is introduced game and agricultural animals that have gone feral, including pigs, goats, deer and cattle. “Each island has its own suite of ungulate problems,” Yoshioka says. Meanwhile feral cats eat Hawaii’s birds, invasive mosquitoes carry new diseases, and invasive plants choke native species out of their habitats. Many of these problems build upon each other. As plants begin to disappear, so do their pollinators. This, in turn, causes more plants to vanish, leaving less fruit for native birds, whose populations decline so that they have fewer opportunities to carry seeds to new places, further weakening plant populations. “You have these cascading effects,” Yoshioka says. The Plant Extinction Prevention Program actually has the best record in Hawaii against this wave of problems, and Yoshioka says she’s proud they haven’t lost a species since they began 15 years ago. She credits her team’s dedicated botanists and horticultural partners around the state, who have worked tirelessly to bring several species back from the brink of extinction. What Is the Fate of the World’s Plants?